For those of you trying to be a bit more ‘green’ this holiday season, you might not have to look any further than your storage shed or garden to make a cute Christmas tree. Yes, really, just hear me out! This DIY tree is great for smaller spaces and can be in lieu of the massive ones we cut down every year, only to chip them in January. We have written before about the Christmas tree choices available to guide you in your festive tree hunt, but this is another alternative you can try to reduce your impact this holiday season. To start off, you will need to make the tomato cage start to look like the shape of a ‘tree’, so place the pointed, loose ends to the top and secure them with a zip tie to form one point. 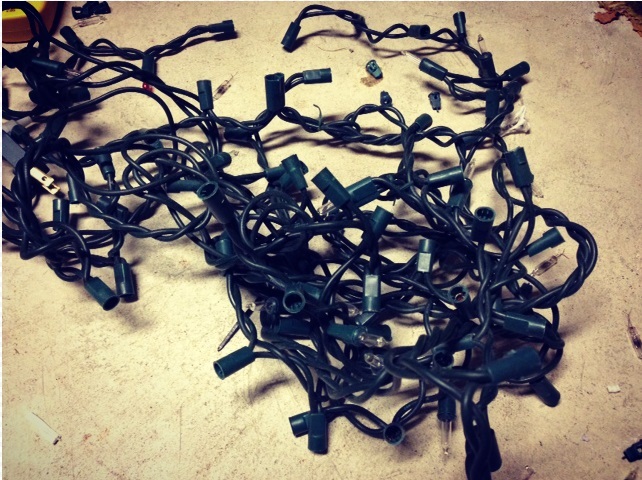 Next, gather your lights and start arranging them around the wire frame however you wish. 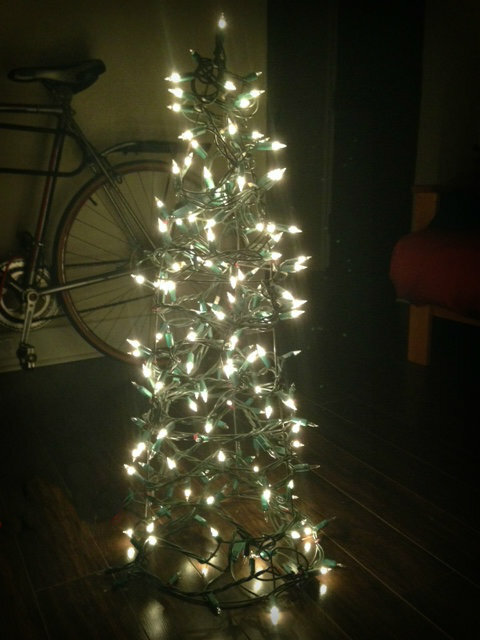 Try not to leave too many gaps in wrapping the lights, as you will notice it when you turn on the ‘tree’ at night. 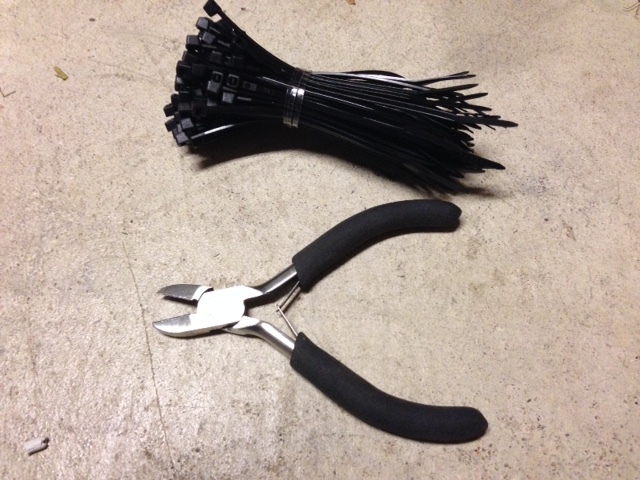 Finally, secure the lights in a few places with some zip ties. Make sure to cut off the extra with pliers to disguise them a bit more. Now sit back and enjoy! Bring this tree out every year to enjoy again and again. Wish I had thought of this one! Great reuse of article for winter, I also use them over small trees/shrubs then wrap burlap over the wire. Better than cutting a tree down ! I like this idea! I’m going to try it out. Here is another “tree” that I may build one day: http://redheadcandecorate.com/4/post/2014/11/pallet-christmas-tree.html . Other than the part where she sprayed the pallet with bug spray, I think this would be an artisan-y alternative to a real tree.